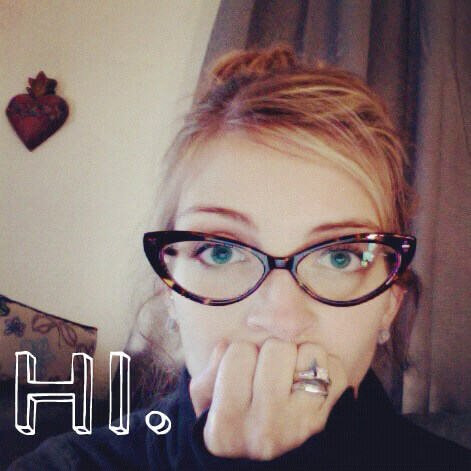 So…since I didn’t want to work on wedding stuff for an hour today at work, I did this instead. 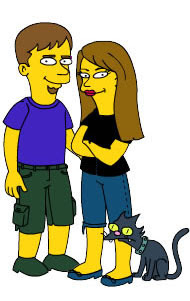 The soon to be hubs and Jenna…as Simpsons. You’ll see Boo-boo was Simpsonized, but Milo didn’t make it. Tough break. That is all. No wedding updates for today…with 9 days to go. Tomorrow is August. Holy Crap. Yes, today is the last day of July, and thus the last day of my sanity. The ole’ acid reflux kicked it up a notch last night and continues to be in full swing today. Is it too late to get on anti-anxiety pills? If you know a good black market dealer – fill me in. Speaking of place cards, I’m going to have a hard time filling them out with your name and food choice if you all don’t MAIL IN YOUR RSVPS! I’m going to stop being nice in about 4 days. And THANK YOU to everyone who came to my third and final shower last Thursday at Anita’s house. It was a fabulous party and thank you for all the lovely gifts! For the record, just because I couldn’t unscramble the words “husband” and “forever” doesn’t mean anything. First, I’ll start by saying THANK YOU to everyone who came to my shower/bachelorette festivities this past weekend in ‘sconnie. And thank you to everyone who planned it, especially the greatest maid of honor, Amanda! It was so much – almost overwhelming! I nearly cried. The general public probably won’t get to see pictures from later in the evening, but I may post one from the shower. Maybe. Second, we’re officially in the final stretch now. Only 25 days to go! And I’m officially labeling myself “Bridezilla” – although I don’t plan on earning a place on the popular WE network show. HOWEVER, if you haven’t mailed back your RSVP for the wedding yet, please do so! We’d love to have you come (and then let us know what you want to eat! ), and if you can’t make it, we’d like to know as well! (You know who you are if you haven’t replied yet-cheeky monkeys!) But don’t worry, I’m not going to hunt you down (yet), you still have until next Saturday to get your reply in. All wedding-related threats aside, things are still going smoothly, although my “to-do” list is threatening to cause nightmares, lack of sleep, or even death. (Side effects similar to most prescription meds.) So, I’m trying to tackle everything I can as quickly as possible so I’m not teetering on the edge of insanity the week before the wedding. This week: Meeting with the florist, final last minute alterations, wedding shower with the Roseners and final fitting/hair trial! 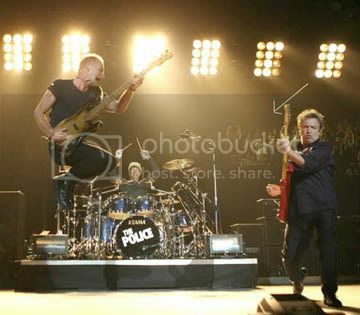 The fiance and I went to the police concert Tuesday night in St. Paul. We had tickets (of the $50 variety) which placed us in the highest seat in the house, about 3 sections back from the stage. Not bad, but not sweet either. So, we get to our seats, and lo and behold…his seat is broken. eventually a repair guy comes by and fixes it for him. Shortly after the repair guy leaves, MY chair breaks. I go and complain to the usher AGAIN…and he gives us seats behind the stage, about 20 rows back! It was so awesome. Granted, we were staring at their backs the whole time, but we were so much closer, and it sounded so much better. An AWESOME show, regardless of what the idiots at the Star Tribune had to say. Here’s a good idea of where we were sitting. So, Saturday we’re heading to Bayfield, WI for a 7.7.07 wedding. Weather looks phenomenal, so it should be a great time.